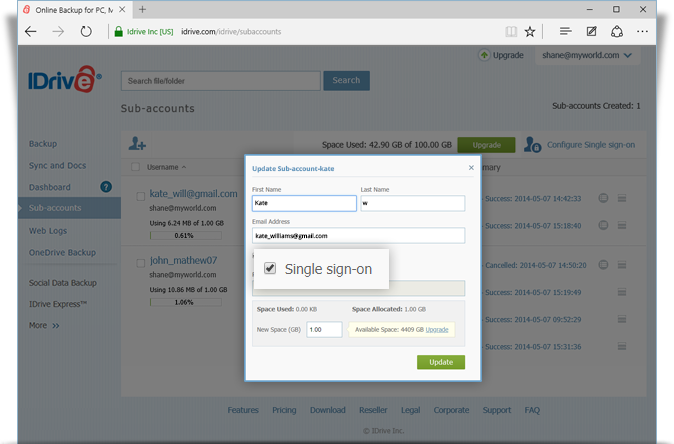 Admin of an enterprise account can enable SSO while creating sub-accounts. 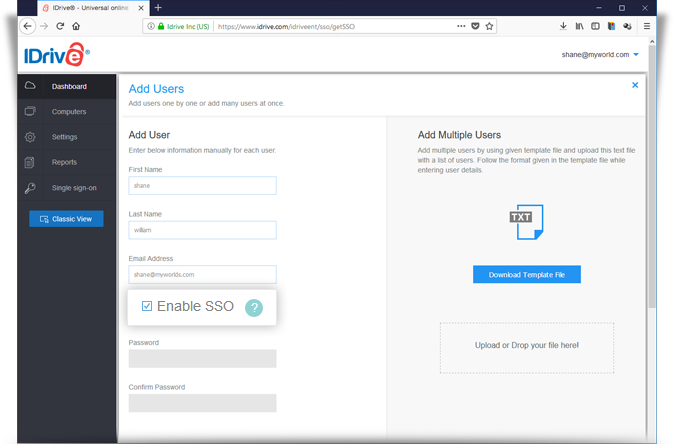 Just ensure that the user credentials associated with the identity provider are mapped with the sub-account usernames in IDrive. Log in to idrive.com with your username and password. From the Sub-accounts tab, click . The Create Sub-account screen appears. Enter First Name, Last Name, and Email Address of your sub-account. Select the Single Sign-On checkbox. Allocate storage space and click Create Sub-Account. On the Dashboard tab, click . Select Add Users from the list. The Add Users screen appears. Enter First Name, Last Name, and Email Address. Select the Enable SSO checkbox. Note: If you select the checkbox, you won't be able to set the password.